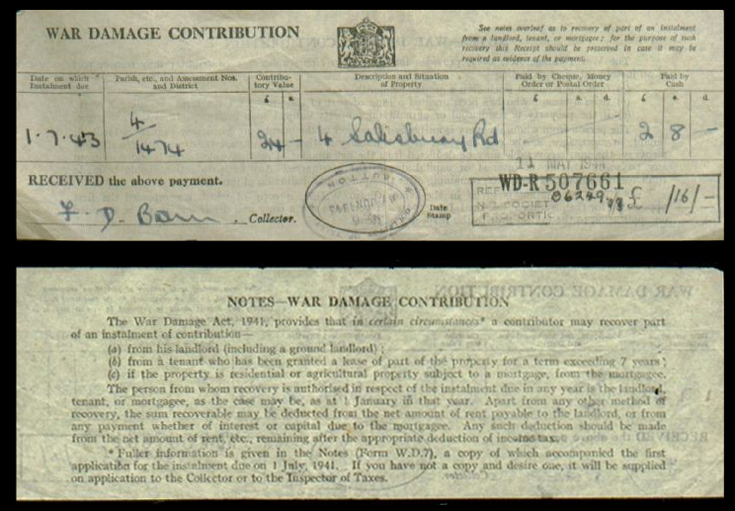 This document, dated 1st July 1943 is a receipt for £2 8s in respect of War damage re No. 4 Salisbury Road Banstead. Both the front and reverse of the receipt are shown in the image. The property was severely damaged by the flying bomb which hit the eastern end of the High street during WWII.